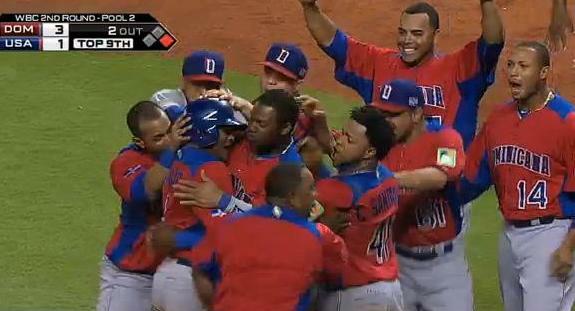 So the Dominicans like to party. They play hard on the field, and they celebrate wins—hell, they celebrate runs—like they just won the lottery. It’s downright un-big league of them, causing their opponents no end of concern. Following the DR’s 3-1 victory over the United States on Thurday, Brandon Phillips went so far as to say that some American players were less than pleased, and promised to “show out” in a rematch—I assume this is akin to hot dogging—if he got the chance. In Major League Baseball, it would all be seen as showing up the opposition, with the offending parties criticized (correctly so), and possibly made an example of by a willing pitcher with a wandering fastball. This, however, is not Major League Baseball. It is the World Baseball Classic, and the Dominicans are not playing with foreign teammates on the Yankees, Dodgers or Rangers—they’re playing with each other. Representing a country in which such emotional displays are the norm, they have every right to their celebrations. Baseball is an American game, but it’s long been known that its code doesn’t necessarily translate overseas, be it the Caribbean, Japan or locations in between. When players from there play on teams over here, it is incumbent upon them to learn the local mores, and abide by them. When it comes to national teams, however, not to mention national pride, these players have earned the right to celebrate with enthusiasm. Should be a heck of a final series. Luis Cruz thought he understood baseball’s unwritten rules. So did Arnold Leon. The former, playing third base for Mexico in the World Baseball Classic, responded to a bunt by Canadian catcher Chris Robinson—whose team held a six-run, ninth-inning lead on Saturday—by gesturing for his pitcher to drill the next batter. Leon, the pitcher, did just that. It’s undoubtedly tough for players steeped in a certain way of approaching the game—who may well have embraced the Code throughout their entire professional lives—to ignore what is likely second-nature, but there is little excuse for not knowing the rules by which one is playing. Plate ump Brian Gorman warned both benches after Leon’s first two pitches to Rene Tosoni, the batter following Robinson, sailed inside. On the verge of elimination, however, Leon opted for pride above victory, and drilled Tosoni in the back. Benches emptied, with the brawl starting when Cruz threw a punch at Canada’s Scott Mathieson. If there is irony in this situation, it is that players coming out of Latin leagues have long been accused of possessing less-than-sufficient understanding of the unwritten rules. This is generally in respect to flair, however—reaction to making a play, not the play itself. Blue Jays slugger Jose Bautista—who has a toe in each pool, playing in Toronto and hailing from the Dominican Republic—backed this up, saying from spring training camp in Florida that the structure of the WBC is not enough to merit such strategy. Except that there is an excuse. Ultimately, Canada won both a moral victory and an actual one, its 10-3 win eliminating Mexico from the tournament. It’s fair to question, as Canadian manager Ernie Whitt did after the game, the wisdom of implementing a run-differential system that runs counter to an ingrained facet of baseball, but that’s a discussion for the future. 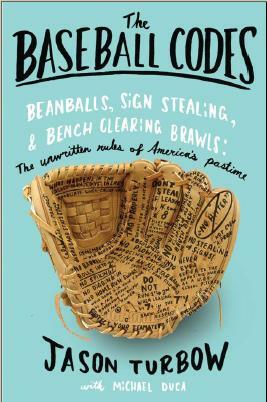 As long as the WBC—or any other professional baseball outfit—has rules, players can not be knocked for trying to best position their teams to succeed within them. Update, 3-11: Who knows if or how much the WBC had to do with it, but Leon, a 24-year-old who has never pitched in the big leagues, was just demoted to minors by the A’s. As a method of last resort, dekes can be an infielder’s best friend. They’re most frequently enacted in an attempt to slow a baserunner’s progress by making him think that the ball is somewhere on the diamond other than where it actually is–and can end up saving runs . The initial impression: One of the Cubans told him it was a foul ball. The more likely scenario, especially given the language barrier: Chu caught a glimpse of the ball in foul territory and made the assumption all on his own. These are the kinds of things that happen to an inexperienced squad. (China was mercy-ruled, 12-0, in this game. Say no more.) The reason one never sees this happen in the big leagues is that runners are trained to look in to the catcher mid-stride to see the result of the play. Had he been aware of his surroundings, Chu might even have tried for third. 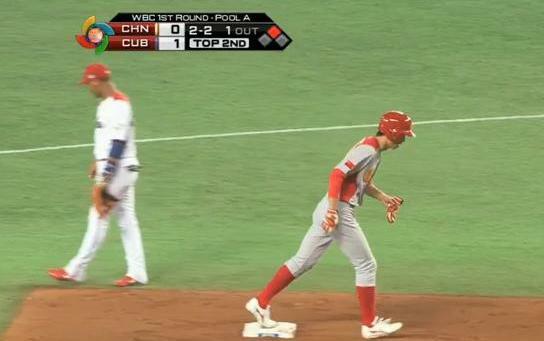 As it was, Cuba gets credited for a heads-up baseball play it likely had nothing to do with.